There is no bigger audience than Google’s. Be it in their web browsers or in mobile, millions of people use Google’s search engine every day. For that reason, Google Adwords is one of the best tools when it comes to digital marketing. However, Google Adwords is also a complicated service that might result in a loss of money for businesses. Because of that, you need a digital marketing agency to help you with your Google Adwords campaigns. BluCactus is a specialized digital marketing company and the option that you have been looking for. Although we are calling it Google Adwords for your convenience, it is no longer called that way. On July 24th of the year 2018, Google changed the name to Google Ads. Currently known as Google Ads, Google Adwords is an advertisement service designed and developed by Google. When using Google Adwords, advertisers pay Google so that the digital giant shows small advertisements from determined businesses. These advertisements can be service offers, product lists or even videos. The advertisements shown in Google Ads are displayed to the user in Google’s massive advertisement network. To clarify, this means that they’re displayed when people are searching in Google’s search engine. 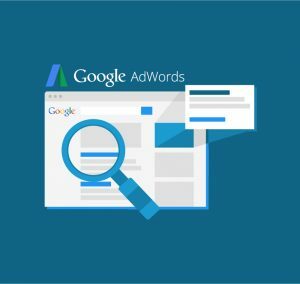 How does Google AdWords, currently known as Google Ads, work? On accounts of these previously defined two factors, Google can provide a good service for their clients. Google uses both the keyword list and the cookies to be selective with who they show the ads to. That is to say, they only show the ads in the result pages in which they think they will be relevant. In addition, Google Ads clients only pay when users decide to click on the advertisement. Furthermore, Google Adwords utilizes a special system to determine the pricing for advertisers. In other words, they use a unique strategy called pay-per-click. Therefore, the advertiser pays when a click is made on the advertisement that they have made. Google Ads’ client makes an offer on keywords related to their product or service. Likewise, the advertisers will determine the time at which the ads will come out. Also, the frequency with which the advertisements will appear. These two variables will depend on how much money they have bid on the keywords. Your advertisements’ appearance will change depending on how high is your bid. For instance, if your bid is high, your advertisement will appear more times. In the same way, bidding more money will make your ad be shown during the hours during which Google is used the most. Google Adwords’ program includes advertisement distribution on local, national and international levels. Text advertisements in Google Ads are short. To clarify, they consist of 2 headings with 30 characters. Besides that, they have a description of 80 characters in total. Finally, they might display a 40 character URL. How can Google Adwords, or Google Ads, help me? As shown above, everyone uses Google to find information. In fact, most consumers use Google Search before they buy a product or hire a service. In this situation, the search engine helps them in knowing more about their future purchase. Furthermore, they search for reviews and make comparisons between different options. servicio. Google AdWords provides a wide variety of benefits for advertisers. Today, it is considered one of the most important tools for digital marketing. For that reason, it is considered necessary. If a company or business wants to keep a competitive advantage, they need to use Google Ads. There is one of the main advantages of Google AdWords when compared to other marketing tools. That is, advertising in Google Ads gives you immediate exposure. As a result, your advertisement can give you visits very rapidly. This happens because your advertisement will appear in the first 5 results. To clarify, the first five results in the result pages displayed by Google. As shown above, your advertisements will appear in Google’s results page. To clarify, the result pages are given as a reply to a query made in Google Search. What’s more, Google Search is the most used search engine on the internet. To put it differently, Google Search is the site with the largest amount of visits to the whole internet. That is to say, very few things can give you more visibility than advertising in Google. Furthermore, Google AdWords also gives your business an advantage in reaching the target audience. Your advertisements won’t be shown to just anyone. Google Ads will make sure your ads are shown to true potential clients. As has been noted, Ads in Google Ads appear in the result pages of Google Search. Because of that, Google will make sure that the ads will only appear to the right persons. To explain, the ads will only be shown to those that search for subjects related to your services or products. What are the benefits of Google AdWords, now known as Google Ads? Compared to normal online advertising, Google AdWords targeting is even more specific. Markedly, it doesn’t just focus on those that search for related themes. Google uses a system called geotargeting. Geotargeting ensures that your ads will only be shown to a certain segment of the users of Google Search. For instance, users in the right geographical position. If your ads are for a restaurant in Dallas, Texas, only people in Dallas are going to see it. Another very useful service of Google AdWords is that it gives you a frequent and periodical result reports. Thanks to this, you’re going to be able to know which keywords are working and which aren’t. 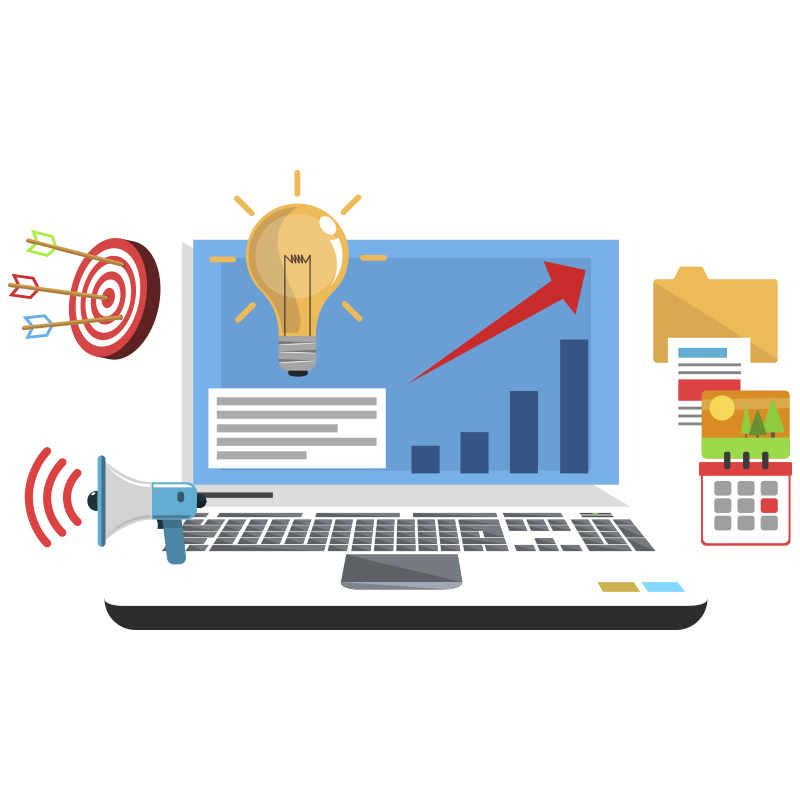 Owing to Google’s reports, you will be able to improve your marketing strategy. Similarly, it tells you which of your ads receive the most clicks and other details. Pricing is the most important part of Google Ads. In fact, experts say in digital marketings agency say that it’s the reason for its effectiveness and success. Google AdWords has options for all budgets. As a result, your business’ size isn’t relevant. Therefore, Google Ads has the perfect option just for you. All you need to is plan how much money you’re willing to spend. In the meantime, a marketing strategy can be made. However, not everyone can be successful in Google AdWords. Experience and expertise are required. For that reason, the help of a digital marketing agency like BluCactus is required. How do you get a good result in a Google AdWords campaign? Using Google AdWords isn’t easy. Because it’s necessary to know the more popular keywords. Likewise, you need to know the most effective keywords related to your business. Also, it’s important to write a very appealing and eye-catching text for your advertisement. The copy must contain, in very few words, a lot of content. In addition, a well-designed landing page is key. Making the right people click your link isn’t enough. For that reason, you need a landing page that turns users into clients. As a result, you need a marketing specialist in a company specialized in Google AdWords. BluCactus can be very helpful in making your investment be very effective. Turn your money into even more with our help. There are many ways of failing in Google AdWords and losing money. For example, an average of 3% of keywords actually works out. This percentage refers to the keywords for which advertisers make bids. Only 3% of these keywords actually result in sales. Because of this, we can deduce that 97% of the keywords result in a loss of money. To explain, you’re wasting your time and effort in reaching users that aren’t interested in your product or service. Hiring an expert team from a digital marketing agency for Google Adwords is your best choice to improve your chances of success. Starting, you need to know the market. Afterward, of course, the way in which consumers work. In BluCactus, a Google Adwords agency that works worldwide, you’re going to find that expert. We’re going to turn your Google Ads campaign into a success. 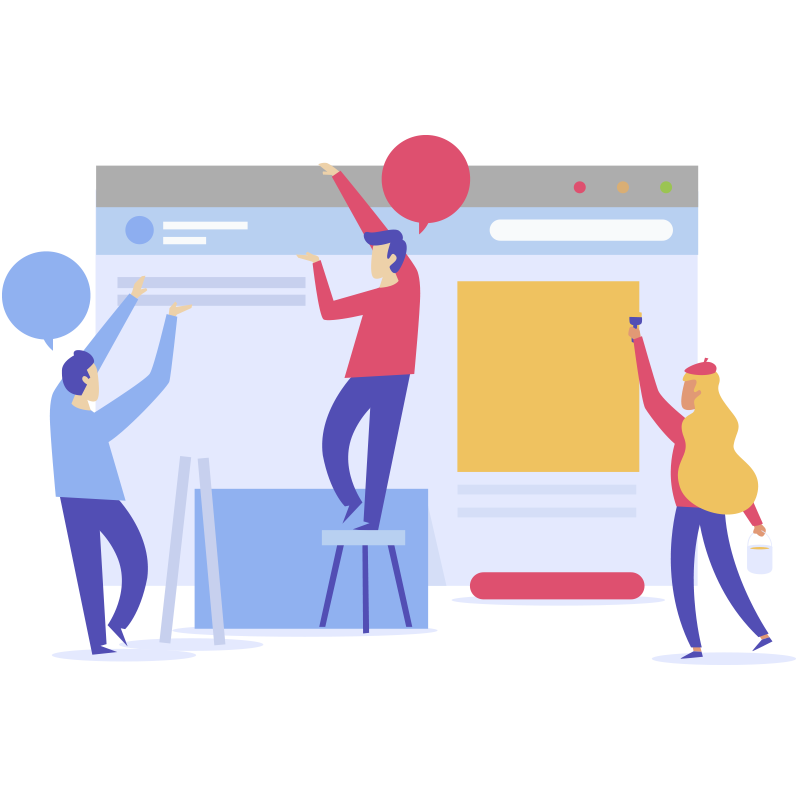 In BluCactus, we’re specialists in web design and SEO Services. We have extensive experience in contemporary marketing and Google’s search engine algorithm. Subsequently, we provide through optimization services for your website. 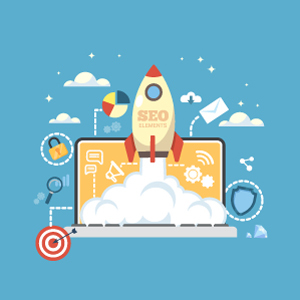 With SEO, we use strategies based both on keywords and links, and optimization for mobile devices. BluCactus is a company with affordable SEO Services that every business with an online presence should consider. Contact us and we’re going to help you position your website in Google Search’s first pages of organic results. With BluCactus you can reach that visibility you have been searching for.